It's all over the Internet. And foodie sites galore. Bunny food rocks. 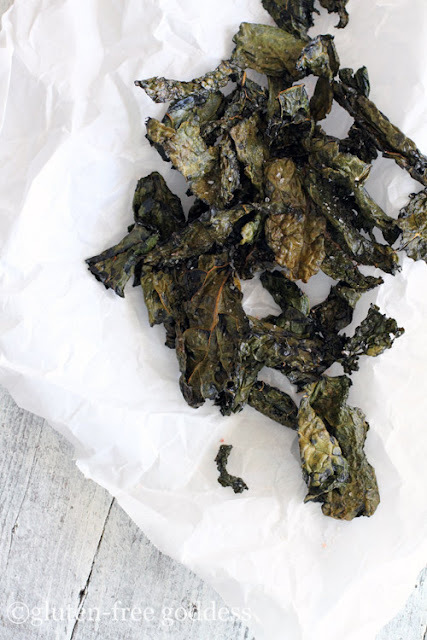 Tuscan kale is the queenly green It Girl. I resisted her charms at first, I admit. I tip-toed into kale territory last year, with a hefty head of curly kale. And found it, shall we say, a tad, um, swampy. For my taste, anyway. I'm a woman who loves wedge salad, after all, believing (without irony) that a thick slice of crisp, cold iceberg lettuce is the perfect summer vegetable. And highly underrated. 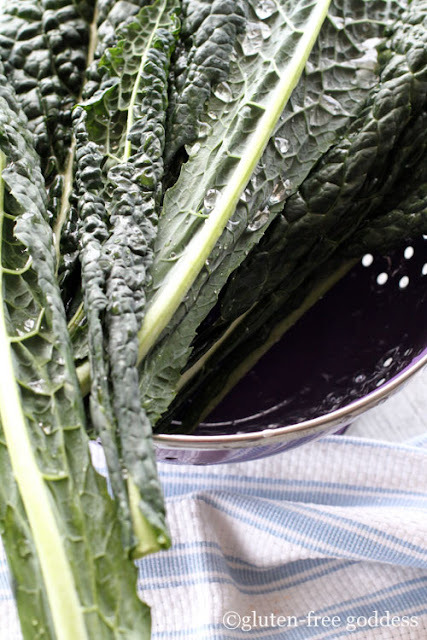 But Tuscan kale- with its long slim elegance (sometimes known as Lacinato or dinosaur kale) has decidedly won my undying loyalty- especially when roasted in olive oil. And toasted to a crispy crunchy whisper of a chip. It's like an ugly potato chip. Sans the guilt of a potato chip. You get the pleasing, delicate crunch. Then a burst of briny green flavor. An aftershock of bitterness. Which perks up your taste buds. And if you haven't Botoxed your forehead, may even raise an eyebrow. Or two. The odd sensation you will feel next is your body murmuring, Thank you. Followed quickly by, More please. 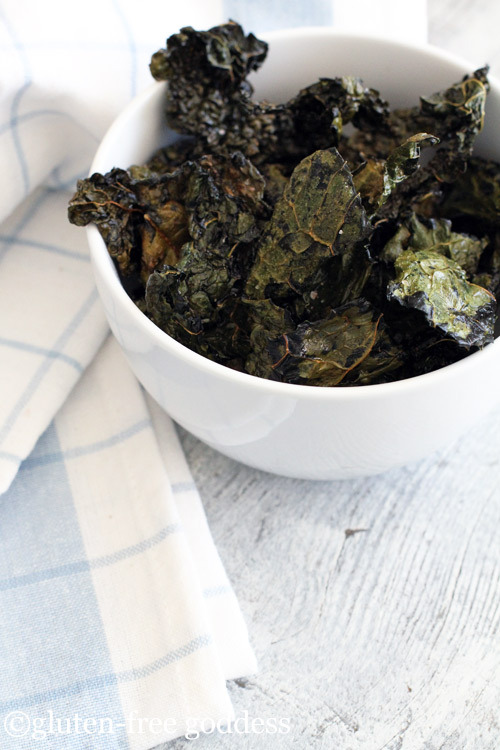 The easiest healthy snack you'll ever make. 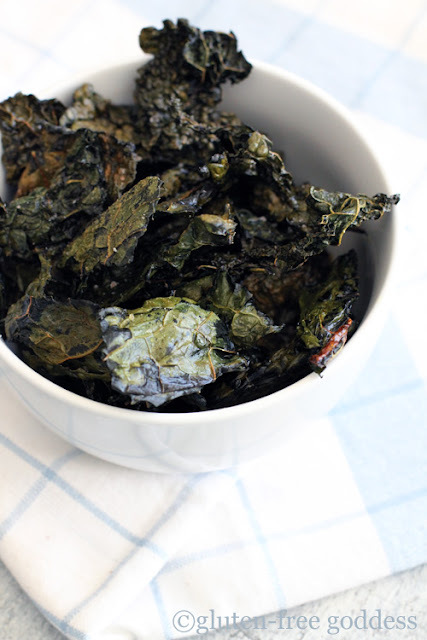 These light-as-air crispy kale chips are gluten-free, vegan, dairy-free, soy-free and guilt-free. Season with sea salt after baking, to keep them airy and crisp. Separate the leaves and wash the kale thoroughly in cold water. Pat dry. Slice out the tough center stem, then cut the leaf crosswise into 3-inch pieces. Toss into a large shallow roasting pan (or use a baking sheet). Drizzle with olive oil and massage the pieces to coat each piece. Spread them evenly in the pan, in a single layer. Pop into the oven and bake for 15 minutes. Stir gently to loosen the chips and separate them. Bake for an additional 7 to 10 minutes or so, until good and crispy. Before baking sprinkle (lightly!) a touch of gluten-free tamari sauce* (*contains soy) and massage it with the olive oil. A little goes a long way- so don't overdue it. And skip the sea salt. Spike it with lemon pepper after coating with olive oil. Classic Greek herbs such as mint, lemon peel, garlic and oregano are marvelous with kale.